To Europe With Kids: From the Mountains, To the Prairies, To the Oceans . . .
From the Mountains, To the Prairies, To the Oceans . . . Even as I still revel in memories of the majestic white mountains, snow-topped Alpine villages, and winter wonderland that was Switzerland only a few weeks ago, I'm now tuned to the hot, arid, colorful lands of Andalusia, Spain, and southern Portugal. Hubby and I purchased our family's tickets to Madrid a couple nights ago. 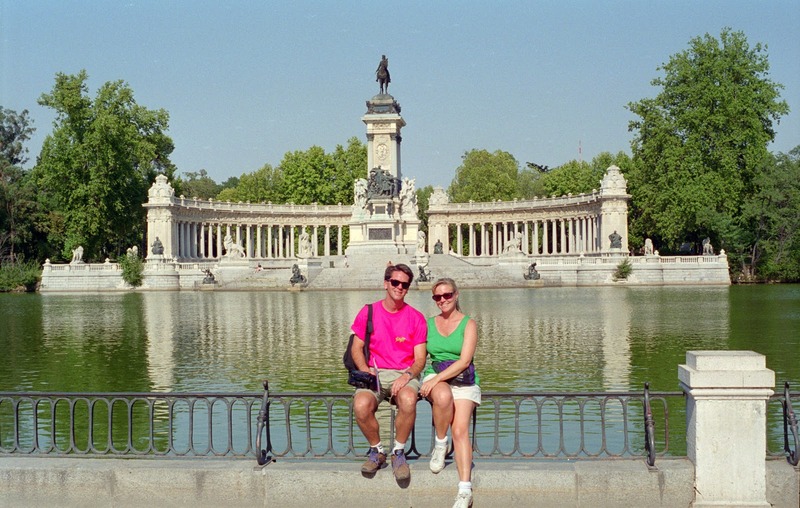 Hubby and I were in Madrid a loooong time ago. We used frequent flyer miles on American Airlines (hrumph . . . not my favorite airline) and they don't fly to Seville or Granada, so, much to my teenage daughter's delight, we will be spending a few nights in Madrid first. (Hubby and I have been to Madrid before and so weren't that interested, but she was.) The whole trip will be three weeks, and I think I've already filled every day on the itinerary with exciting destinations: Seville, Córdoba, Granada, Nerja, Ronda, Arcos de la Frontera, Tarifa (for some windsurfing), Faro, and Lisbon. Whew! My research has already begun with a passion - call me old-fashioned, but I started with a travel book. A real paper and ink one. Rick Steves' Sevilla, Granada and Southern Spain gives straight-forward facts, tips, and solid opinions on how to get there and what to do. Next, I turned to Twitter and found myself some new tweeps: @azaharSevilla, @yourlisbonguide, @FamilyInSpain, @Johanna_Bradley, and @visitportugal. Can't wait to study their blogs and tweet them with all my questions. Shawn Hennessey, who authors Azahar's Sevilla Blog, already provided me with Veo Apartment Holiday Apartment Rentals in Seville as a source for accommodations. I'm real excited about the possibility of sleeping inside the Alhambra in Granada. There is one hotel and one parador actually located within the palace grounds. They fill up far in advance, so I better get on it, but I think if we can afford it it will be an unforgettable experience for the kids. Thanks for the mention. We stayed at the Hotel Guadaloupe, just a stroll through the grounds from the Alhambra, and it was awesome. That was before my blogging days so may have to revisit! I've only been to a couple of places in Spain, but really love it. I'm excited to hear more about your plans. That sounds like a wonderful trip. 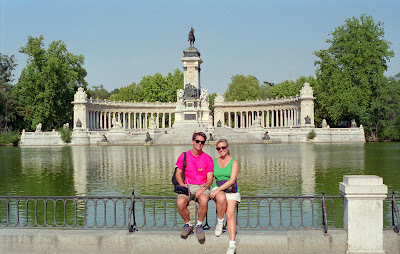 We loved Spain and were actually in Madrid and Segovia a couple of years ago. Lisbon has been on my places to visit. Looks like you're all ready. Happy planning!